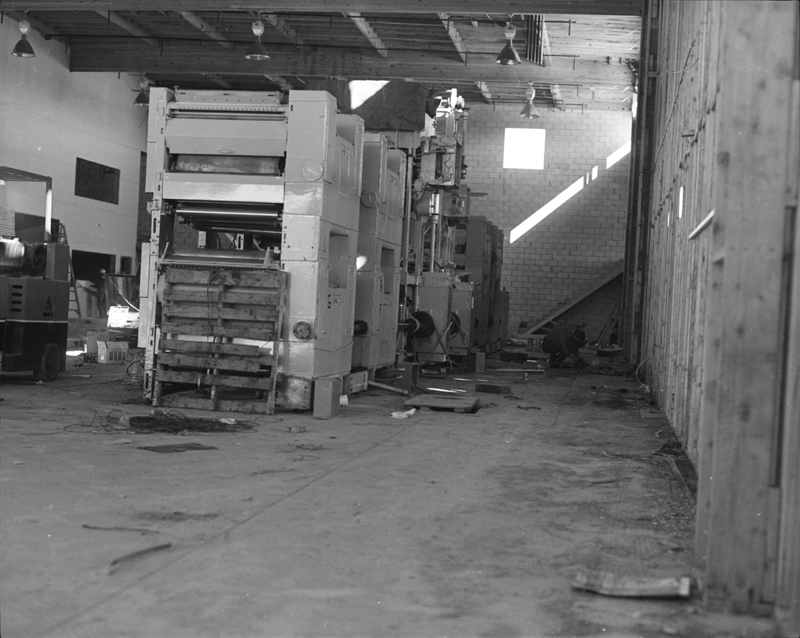 January 6, 1986 — A Goss Urbanite printing press is being installed in one of the warehouse spaces in the new building at 24000 Creekside Road. The gently used press was brought over from Sun Litho, a Morris-owned printing plant in Van Nuys. The Newhall Signal newspaper published weekly beginning Feb. 7, 1919, operating out of an office in downtown Newhall, the valley's central business district. Then came Valencia, starting with the Old Orchard Shopping Center and Valencia Country Club ("Big V" golf course) in 1965, and the community's economic gravity began to shift. The county courthouse left downtown Newhall in 1970 for a brand-new Civic Center at Valencia Boulevard and Magic Mountain Parkway, the latter named for a new theme park that was built to attract home buyers to new subdivisions that were replacing farmland. The Sheriff Station left in 1972, and the auto dealers weren't far behind. Both Magic Ford and Vince Wiese Chevrolet — two of the newspaper's biggest advertisers — left downtown Newhall to start a new auto mall that gave them closer proximity to a new, "young urban professional" customer base, and room to grow. Another big advertiser, Safeway, was long gone from the downtown, having left in 1965 to become an anchor tenant at Old Orchard, and new grocery stores were popping up with each new neighborhood shopping center — farther and farther away from the old business district. The Signal grew with Valencia and eventually joined in the move. Scott Newhall, a shareholder in what was initially a family-owned company that developed Valencia, had purchased The Signal in 1963 and added a Sunday edition Dec. 5, 1965. He soon added a third day and expanded into the old Sheriff substation at 6th and (now) Main Street when it became available. Then came the 1980s, and the population exploded from one end of the valley to the other. The Signal needed to expand to daily service, but to do that, it needed more space, a modern printing press, and better access to its advertisers. The Newhalls had sold the paper in 1978 to Morris Newspaper Corp., a family-owned syndicate headed by Charles Morris, but the sale was transparent to the public because Newhall family members remained at the helm as editors and publishers. In the mid-1980s the company purchased vacant land at 24000 Creekside Road, literally down the street from the paper's major car-dealer advertisers and a stone's throw from a promised indoor shopping mall (which finally came in 1992). In 1985-1986 Morris erected an enormous tilt-up building which, at 35,892 square feet, could accommodate a car dealership if the time ever came to sell it. A gently used Goss Urbanite press — brought in from Sun Litho, a Morris-owned printing plant in Van Nuys — filled one of three warehouse spaces, while a second held rolls of newsprint and the third was dedicated to insertion and bundling for delivery. 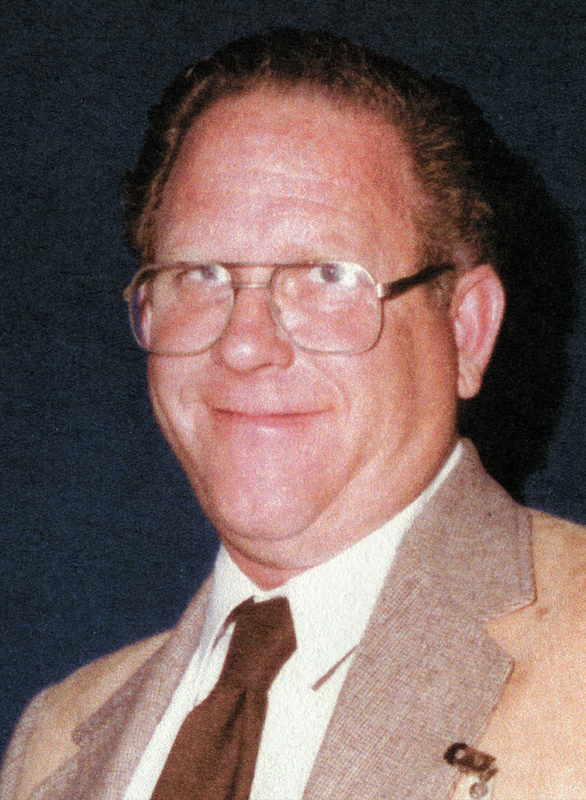 The new building was dedicated to Scott Newhall, who steered the ship until 1988, and all operations remained in-house for the next 25 years, just as they had done in days of old. GT8610b: 19200 dpi jpeg from original 2x3-inch negative, Kodak BW Safety Film.